Considered by many to be the best literary festival in the U.S., the Sun Valley Writers' Conference (SVWC) is a festival of ideas and literature with some of the most extraordinary writers and thinkers in the world. 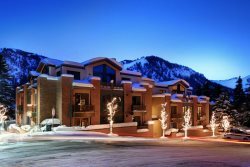 Celebrating its 24th year in Sun Valley, this year�s speakers and participants will be announced in full by Spring 2019. Cost: Varies. Tickets go on sale February, 2019.